Stealth Summer Lacrosse Camps are an opportunity for young athletes to develop individual and team skills in a fun, structured and competitive environment. The goal of camp is to assist in getting players to the next level of play, while having fun playing the game of lacrosse. Our coaching staff includes Current NCAA Players, and NCAA Committed Student-athletes. Director/Coach Ryan Burton will oversee all camp instruction. Coaches will adapt drill difficulty for all levels of experience to allow players to succeed regardless of their ability. Camp is open to any/all entrants, and limited only by number, age, and grade level. Complete skills camp for Girl's and Boy's K-12th grades. Emphasis on fundamentals, position training, drills, and scrimmages. Prizes. awarded for performance, sportsmanship and improvement. Camp prizes and fun games. Photos posted on social media so parents can stay updated. 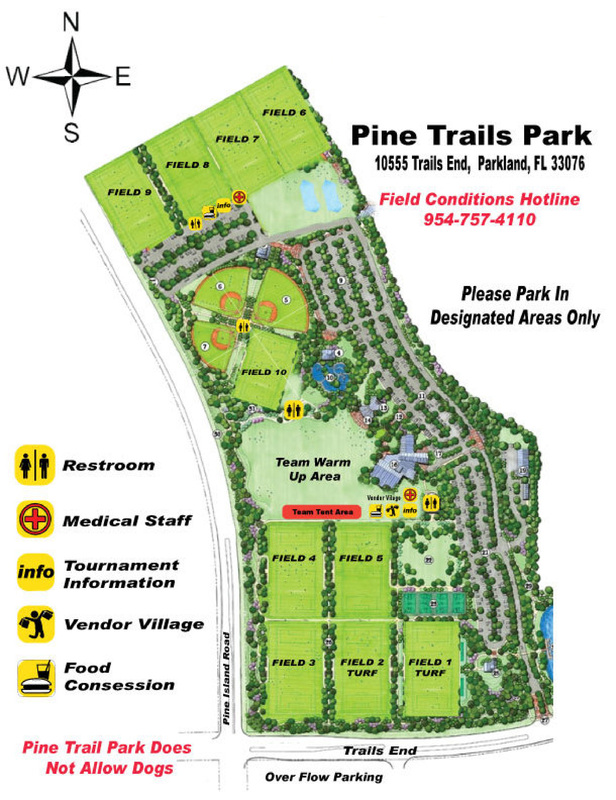 The Stealth Summer Invitational will be held at Pine Trails Park, in Parkland, FL. The facility has 2 turf fields and 3 grass fields. Parking is available on the South end of the park. Parking extends North of the recreation center, back to the baseball fields. Additional parking is available at Pine Trails Elementary. Ryan Burton is the camp director. 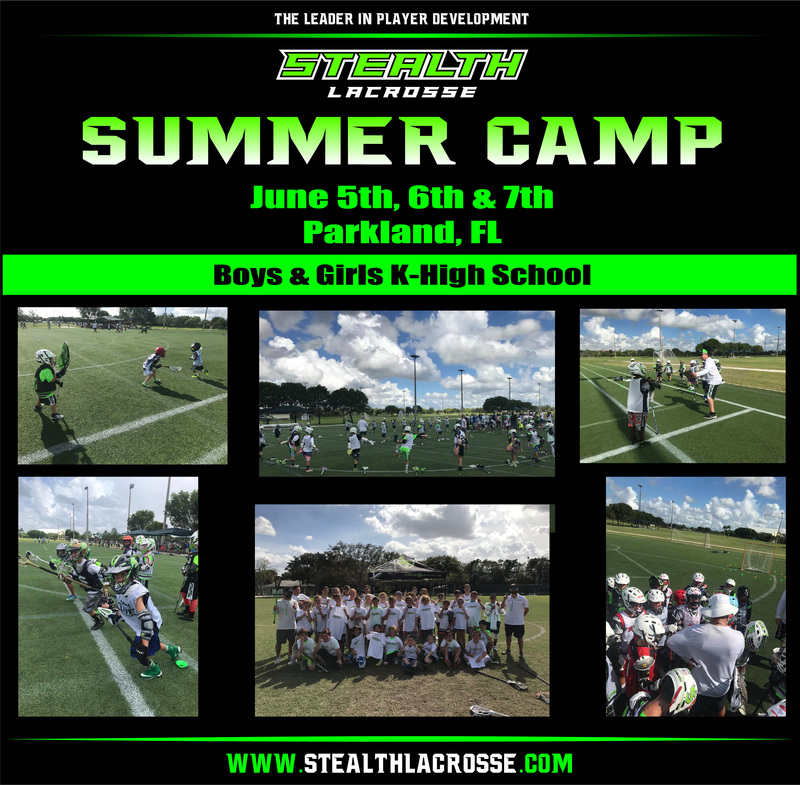 Coach Burton will lead the camp instruction with help from other members from the Stealth Lacrosse coaching staff, along with current college Men's and Women's players. All cancelations must be made in writing by sending an email to coachryanburton@hotmail.com. To cancel for any reason 10 business days prior to the start of a camp or clinic a refund is available less a 10% processing fee. For cancellations received 9 business days or less a refund is available less a 25% processing fee. Once the camp or clinic has begun no refund will be awarded for any reason, including injury or illness. There will be no partial refunds or full refunds due to unforeseeable weather conditions.